Savings not to be sneezed at! 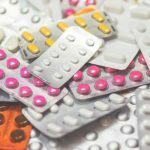 When it comes to buying medication to soothe winter ailments, it’s easy to be swayed by adverts for expensive branded products and assume these will be most effective. But, more often than not, you can buy identical alternatives for less. 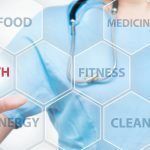 A recent report showed some versions of cough and cold remedies can be up to an astounding six times more expensive, simply due to their branding and packaging. 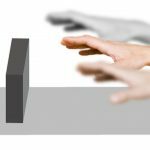 Are you concerned that a cheaper product means compromising on quality or effectiveness? 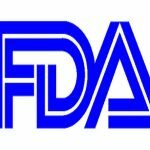 Lower-priced drugs are typically just ‘generic’ versions — i.e., not branded products — and the Medicines and Healthcare products Regulatory Agency (MHRA) ensures these are the same quality as the more expensive, branded drugs. 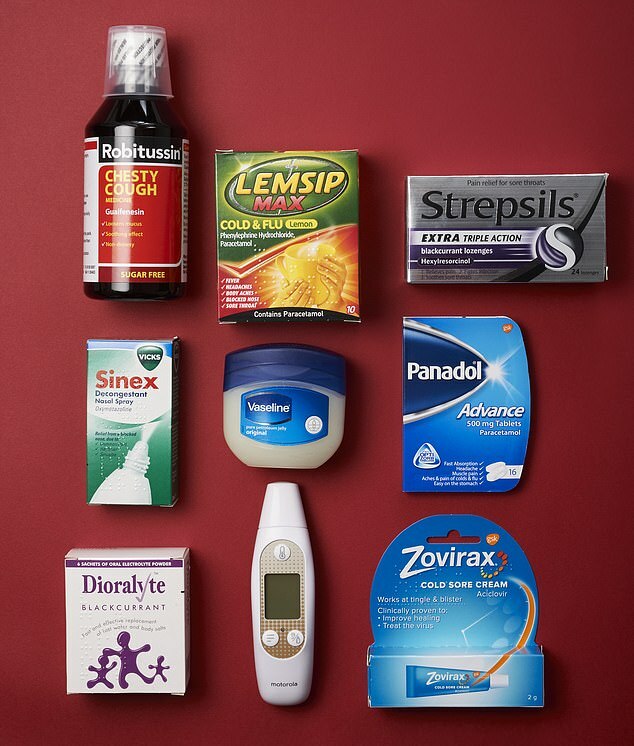 Here, we show just how much money you can save simply by asking for the ‘basic’ versions of common winter remedies. A medicated hot drink is soothing and can ease symptoms such as headache, fever, sore throat, nasal congestion and aches and pains. The active ingredients in both sachets are identical: 1,000mg paracetamol, a pain reliever which also helps to reduce fever, and 12.2mg phenylephrine hydrochloride, a decongestant that reduces swelling in the nasal passages and allows you to breathe more easily. 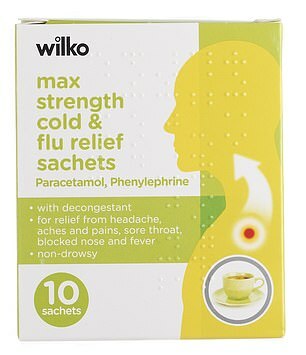 Despite providing the same relief, the Lemsip version costs 42p per dose, rather than Wilko’s thrifty 18p per sachet. The suggested doses are the same, too — one sachet every four hours, and no more than four sachets in 24 hours. 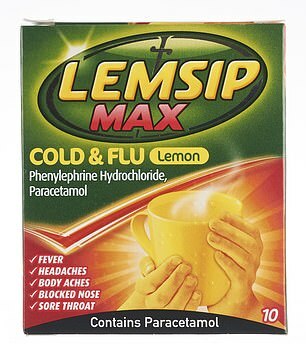 Note that as this product contains paracetamol, no other paracetamol products should be taken at the same time. 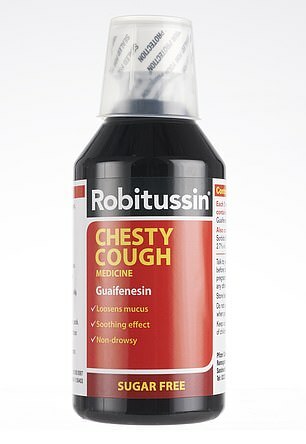 When the dreaded chesty cough hits, you may reach for the Robitussin to control your chest congestion — but you could opt for the Tesco version instead. 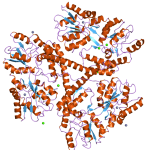 The two products share an identical active ingredient — guaifenesin — in exactly the same concentration. 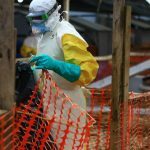 Guaifenesin doesn’t treat the cause of the symptoms, but it thins mucus in the airways, making it easier to bring up, clearing the air passages until the virus passes naturally. 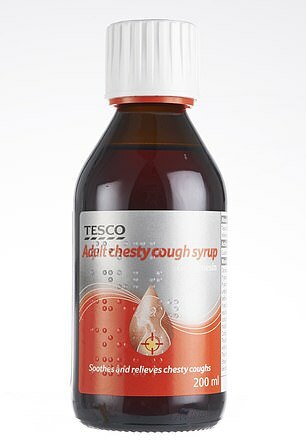 Although slightly smaller, the Tesco medicine is significantly cheaper — a saving that could add up rapidly, given that the germs which cause chesty coughs spread easily, so you could need more than one bottle a year. Use either product in the same dosage: up to 10ml four times a day. Note, if the mucus you’re bringing up is not clear, see your GP. 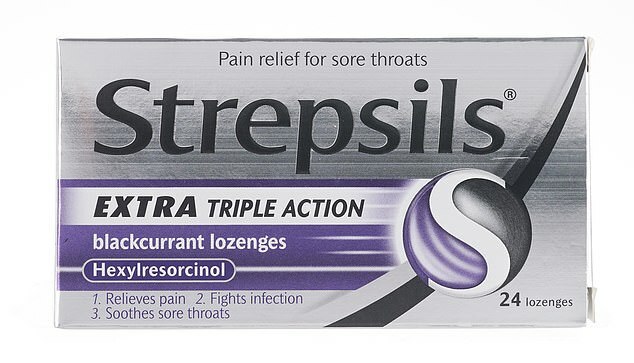 A sore throat affects the majority of us over the winter months and throat lozenges can help. The active ingredient in both these products is 2.4mg hexylresorcinol — at the exact same dose. This antiseptic is used to treat infections of the throat and mouth, and acts as a local anaesthetic to relieve pain and soothe the throat, too. Sucking on a lozenge also stimulates the salivary glands to produce much-needed lubrication to the throat, which tends to be dry. Both lozenges contain two types of sugar — glucose and sucrose — so don’t exceed the dosage. You can have a maximum of 12 lozenges in 24 hours. But never give them to young children as they are a choking hazard. Cold sores are caused by the herpes simplex virus (HSV), which lays dormant in the body until stimulated by a trigger. 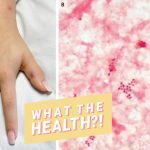 These include UV light, stress, a run-down immune system (for instance when the body is fighting a cold or flu), or when cold, dry weather leads to chapped lips. 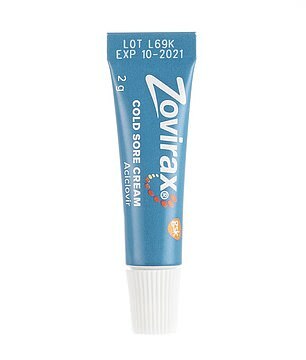 Both Zovirax and Lipsore contain the same concentration of the antiviral ingredient aciclovir, which prevents the virus from reproducing and infecting more cells. 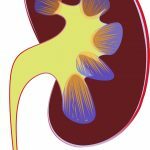 This allows the immune system to deal with the infection effectively. 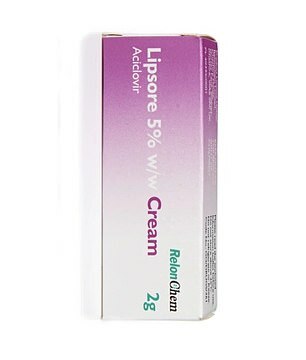 Ideally the cream should be used when you first notice symptoms, such as a tingling sensation, but it will still be useful if you start using it once the blister appears. Contrary to popular perception, a blocked nose isn’t just due to a build-up of mucus, it’s also due to changes in the blood vessels. Irritation and inflammation causes them to expand, leading to congestion, pressure and discomfort in the nasal passages. 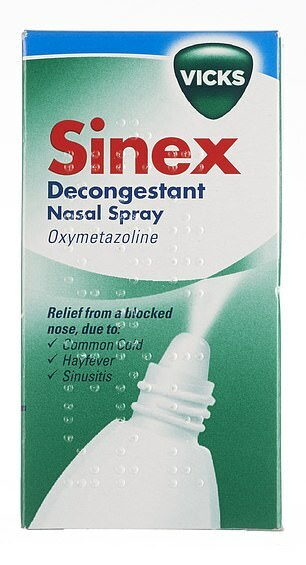 The active ingredient is the same in both: 0.05 per cent oxymetazoline, which shrinks the blood vessels as well as reducing secretion of mucus, and opening the nasal passage. 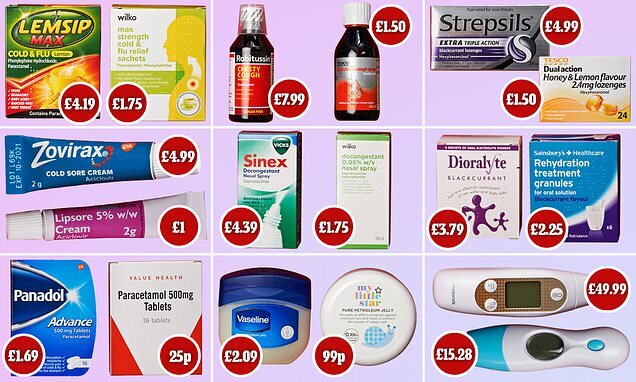 Wilko’s version is nearly half the price of the Vicks alternative. 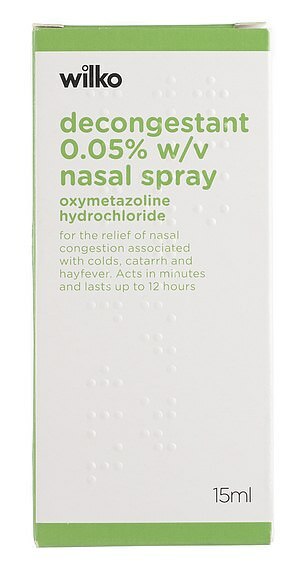 You shouldn’t use nasal decongestants for longer than five days as there is the risk of rebound congestion, where the nose becomes less responsive to the medication, which can make symptoms worse. Norovirus, also called the ‘winter vomiting bug’, causes vomiting and diarrhoea. 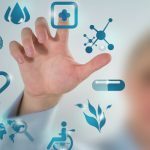 Although unpleasant, it is usually self-limiting and should pass in a couple of days without the need to go to a GP. 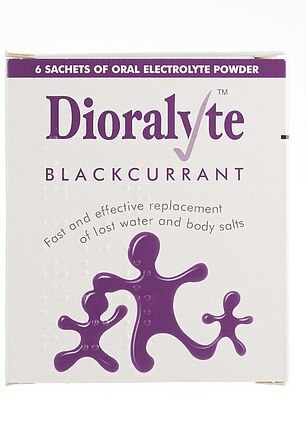 After taking paracetamol to control fever or aches and pains, the most important thing to consider is rehydration. 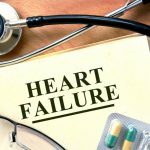 Dehydration and the loss of valuable salts, through vomiting and diarrhoea, can increase the feeling of lethargy and general illness. 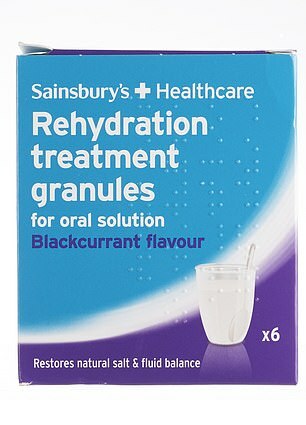 You should replace these salts and rehydrate as soon as possible. Remedies such as these two products contain a similar mixture of salts, including sodium chloride, potassium chloride and glucose. They should be mixed with water and sipped regularly throughout the day. There is no recommended quantity, so no product is superior to another. If symptoms don’t improve after a few days, see your GP. Paracetamol is a well-known painkiller used for all sorts of ailments. It is also an effective anti-pyretic, meaning it reduces your temperature so helps bring down a fever — a common symptom of many winter illnesses. Paracetamol does this by targeting the hypothalamus, the part of the brain that controls temperature regulation. 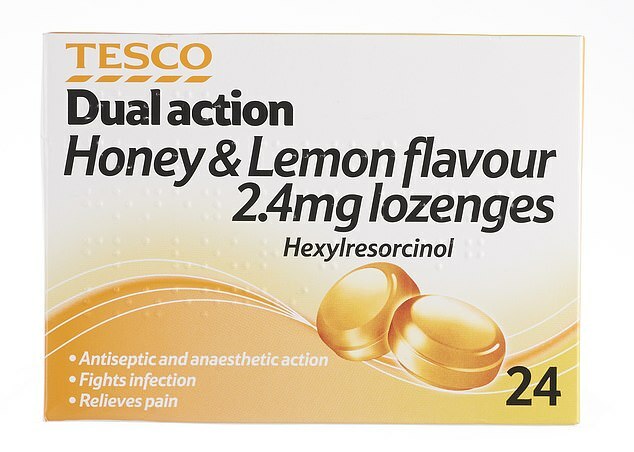 The generic version in this case is around six times cheaper than the branded paracetamol. 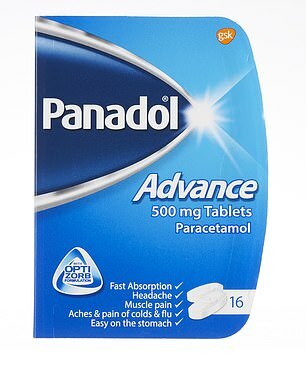 Each tablet contains the same dosage — the word ‘advance’ on the Panadol packet seems to relate to a coating which claims to release the active ingredient in 15 minutes. 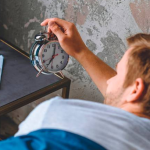 Whether this has been proven in human studies is unclear; in any case, most painkillers start to work in 15 to 30 minutes, and a major factor in the speed of release is actually whether or not you have recently eaten. So the extra money you pay is not necessarily for a more effective or stronger painkiller. 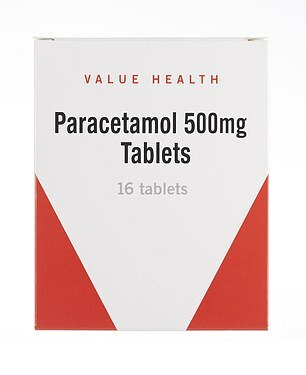 Note that paracetamol is a common active ingredient in many winter-related remedies, so watch that you do not exceed the recommended limit (for adults, that’s eight 500mg tablets in 24 hours). Chapped lips can be a problem all year round, but the wind and cold can make them much worse. 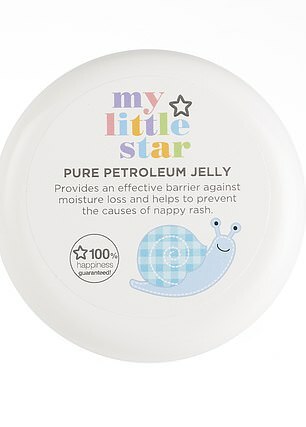 Use a petroleum jelly-based lip balm when the symptoms first start to appear, and especially at night — it creates a protective barrier which helps to seal in natural moisture and promote healing. 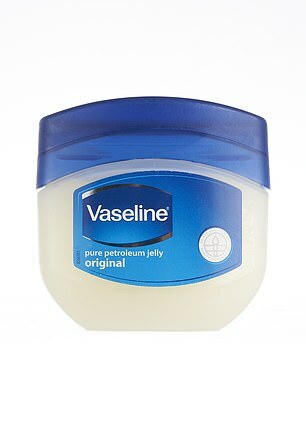 The brand synonymous with petroleum jelly is Vaseline, but the product from Superdrug is less than half the price. Petroleum jelly is for external use only and should be avoided around the eyes. Ear thermometers can give an accurate reading of body temperature and can be used on the whole family. They usually come with single-use caps to ensure there is no transmission of infection. 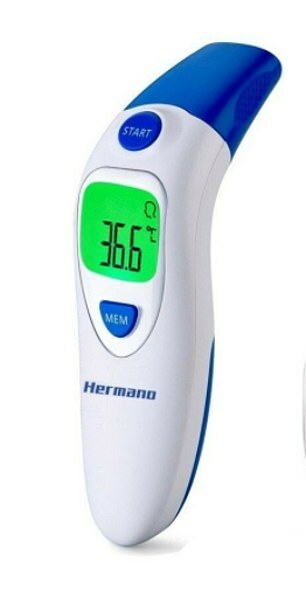 Normal adult body temperature is between 36.5c and 37.5c; a temperature above 38c indicates a fever. But there are individual variations, and variations in age. 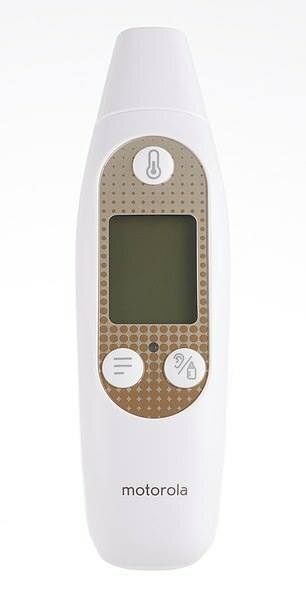 Thermometers may also give different readings depending on where on the body they are used. So, ensure you know what the normal range is when using an ear thermometer. Prices vary depending on the number of extra functions available, many of which may or may not be helpful to you. If you want simply an accurate reading of temperature, then save £35 and buy the cheap one.